Find out more about our Goldenford authors here! Tony Margrave was born in Kent, England, in 1947, and left school in 1964. After a brief interlude in engineering he took up the practice of law and was a solicitor of many years standing, but is now a non-practicing solicitor. He has written extensively on matters military for journals published in Britain, France and the United States and has been elected as Fellow of the Royal Historical Society for this body of work. He has been four awarded literary awards (the Canon William M Lummis trophy) by the Crimean War Research Society and two Literary Medals by the Orders and Medals Society of America. He has also been awarded the Meritorious Service Medal of the Orders and Medals Society of America, for literary pursuits. John Palliser was born and educated in York. He read Modern Languages at Worcester College, Oxford, in the early 1960s. He then taught languages for eleven years in England, France and Germany. In the mid-1970s he qualified as an accountant and for most of his career worked in sports management, travelling extensively in Europe. Through his professional activities he acquired experience in buying, registering and operating business jet aircraft. He has had a passion for all aspects of aeronautics since his teens. His entry into the world of business aviation at the end of his career finally gave him the job satisfaction which he was seeking. Without having ever become a professional pilot, he has nonetheless built a solid total of hours as a private pilot both in France and in the USA where he has obtained an FAA instrument rating. After having worked for many years in Monaco, he has now retired to Aigues-Mortes in the south of France. Irene Black was born in Leeds and spent her childhood in Staffordshire. She read psychology at Manchester University. Irene has been a psychologist (working on the Apollo Space Program in New York) and Head of Modern Languages at a comprehensive school in Surrey. She has lived in the USA, Australia and India. In 2005 she completed her Masters degree on South Indian temples. She has won a number of national and international prizes for short stories, poetry and articles, including the 2003 National Association of Writers' Groups Annual Short Story award. 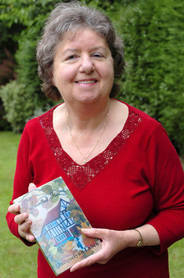 Her Goldenford novels include 'Darshan', 'The Moon's Complexion' and her crossover fantasy 'Noontide Owls'. Her biography of her parents 'If only I could have News from You' was published in 2016. Besides writing, she currently lectures on Asian art and runs a writers' workshop. More information can be found at Irene's website. Originally from London, Jacquelynn Luben lives with her husband in a Surrey village, their children having fled the nest, and she acts as her husband's reluctant secretary. 'Tainted Tree', her fourth book, is her second work of fiction and follows her novella, 'A Bottle of Plonk'. She has also written many articles and short stories. She gained a degree from Surrey University in 2002, with a dissertation on the Harry Potter series and other children's books, but she has not been tempted to write for children herself. More information can be found at Jacquelynn's website. 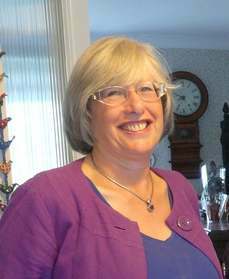 Jennifer Margrave (writing as Jay Margrave) runs her own business as a solicitor practising in the unusual and relatively new field of 'advising the elderly'; in 2003 she won a prestigious Lifetime Achievement Award given by the Law Society's Gazette, as part of their centenary celebrations, for her work in this field. She writes legal articles for journals and gives lectures and workshops not only to other lawyers but also to groups such as Women's Institutes. Jennifer has been writing fiction since she could hold a pencil and has at least 100 short stories, many poems, and several modern novels hidden away in her bottom drawer. 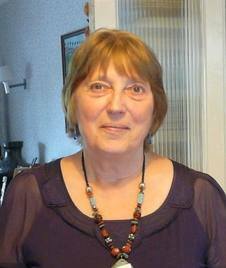 She has been shortlisted at Winchester Writers' Conference several times and won short story competitions over the years. For Goldenford, she has written 'The Gawain Quest', 'Luther's Ambassadors' and 'The Nine Lives of Kit Marlowe'. More information can be found at Jay's blog.